Quality service supplied by our service personnel enhances the competitive advantage of our customers. Our service work force is comprised of over 710 highly skilled technicians and over 80 managers and support staff. 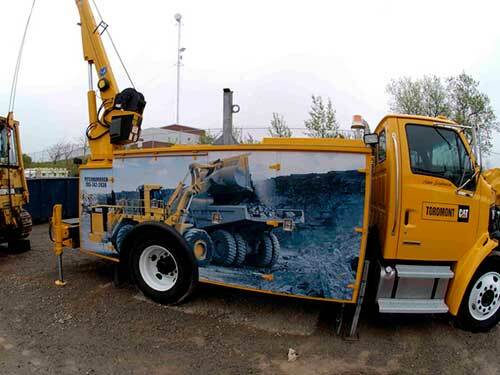 Some of our customers are also serviced by our fleet of over 200 field service vehicles. Your Toromont Product Support Sales Representative (PSSR) is a valuable resource.They travel throughout a specific service area providing consultation and an ongoing, free inspection program to equipment powers. 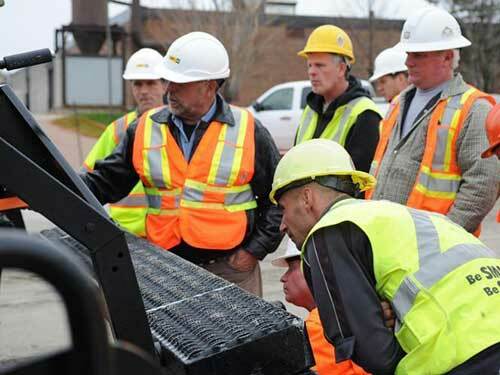 Through training and experience, our PSSRs understand all facets of equipment wear. Often they can spot a simple problem and offer recommendations that allow you the option of REPAIR BEFORE FAILURE that could save substantial dollars. Toromont's Scheduled Oil Sampling (SOS) puts your equipment on a regular diagnostic program. SOS identifies abnormal wear by determining the amount of various wear elements in the oil from a particular compartment. A computer-generated report, complete with interpretation by one of our lab technicians, is made available to customers through the mail or on the Internet. Sample data is then permanently recorded to track the history of each compartment of each machine and warn of impending failure. In addition to oil, our lab can evaluate fuel, hydraulic fluid and coolant for telltale wear particles. 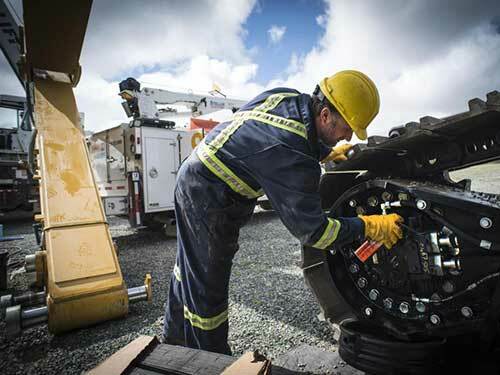 Toromont technicians are available for on-site and emergency service 24 hours a day, seven days a week. A fleet of heavy-duty service trucks covers our entire territory. 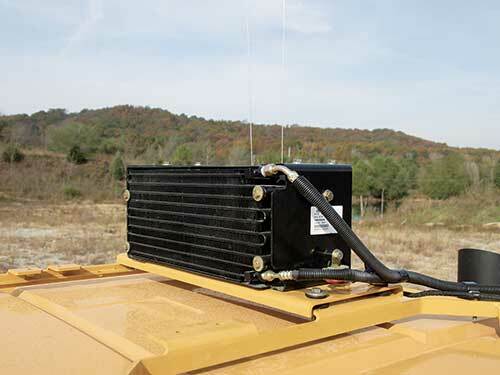 Fully equipped with special purpose Caterpillar tools and computerized diagnostic equipment. They provide fast, accurate troubleshooting and repair. 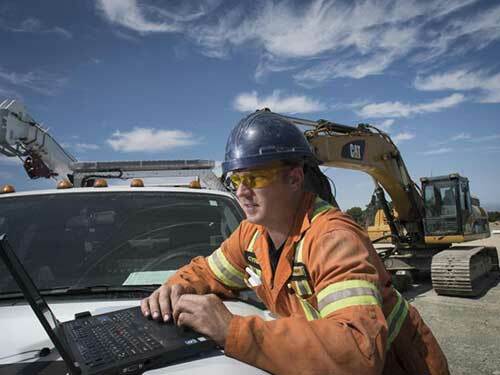 All our field service professionals are equipped with laptop computers that facilitate faster diagnostics, provide service information and even check for available parts. Toromont technicians are the best in the industry. 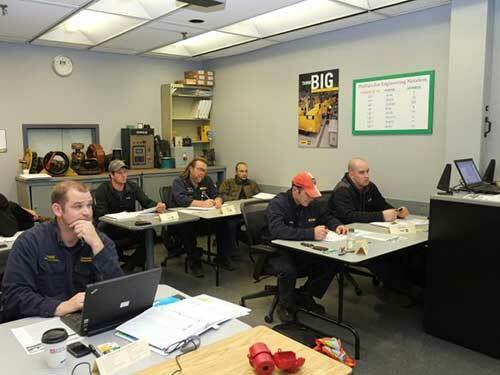 Even the most experienced technicians require constant training and updates. Our service personnel have access to a comprehensive library of technical data, manuals, bulletins and are scheduled for frequent in-house training sessions. Al Boehk - Service Training Supervisor. A team of technical communicators are the vital link between our technicians and factory experts. Additionally, they can track any product problems so that we can proactively manage the problem with all affected product. A TDA is a thorough inspection of each major system of your machine, designed to detect possible problems in their early stages. 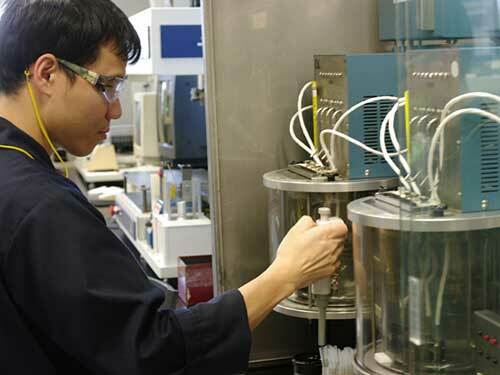 Toromont technicians conduct a series of tests, among them, fuel consumption and horsepower, wear elements in oil and hydraulic fluids, air flow and fuel injection timing. 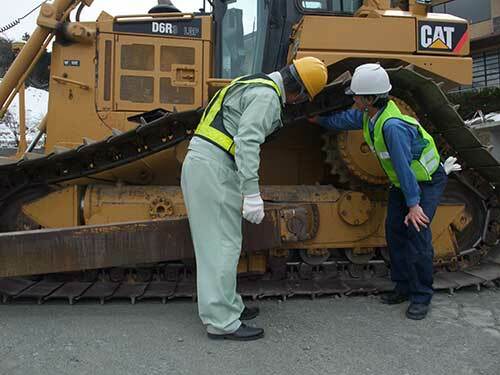 Track or tire inspection, engine and transmission tests are also conducted. Test results are evaluated, interpreted and specific repair recommendations are made. Using a database of thousands of individual repairs Toromont can provide a firm price for your service work. We guarantee to match our quote, no surprises when the invoice arrives - it's guaranteed! Hydraulic repair services available from Toromont include full cylinder repair, valve and pump rebuild plus custom hose assembly. Our specialized hydraulic cylinder equipment speeds disassembly and assembly, saving you time and money. Toromont can provide services from light honing of worn cylinders to clean up scratches and imperfections to the largest rerod or retube jobs. 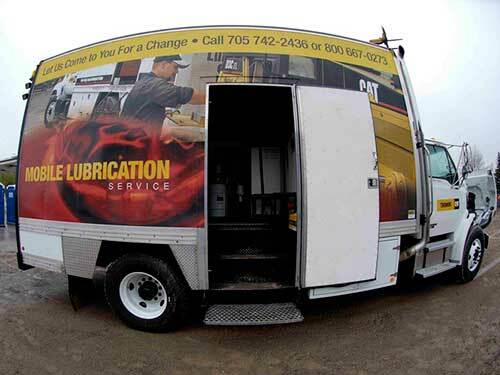 With the addition of our strategically located Mobile Lube Truck fleet we provide our customers a complete machine inspection reporting system performed by trained technicians with advanced diagnostic tools. 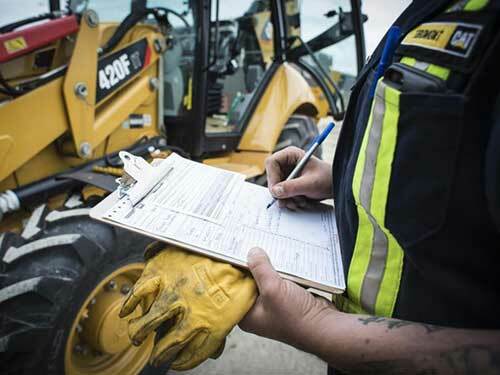 Our inspection results are provided to help you make informed equipment management decisions based on your work demands. Units are located in Windsor, London, Hamilton, Concord, Ottawa, Sudbury, St. John's, Cambridge, Orillia, Kingston, Timmins, Peterborough and will soon be available in Thunder Bay. This environmentally sensitive resource is another program unique to the Product Support offerings of our dealership. From minor repairs to new custom installations, this on-site offering can accomplish R12-R134 conversions. Our Trained technicians can customize installations on a broad spectrum of applications. Three mobile units are strategically located throughout Southern Ontario. Toromont's Automated Weld/Bore process is a better, stronger and more cost effective way to rebuild out-of-round bores from machine frame articulation joints to loader arms and buckets. With one setup, an out-of-round bore is machined back to round and welded with one precise consistent bead of weld, then machined to the manufacturers original specifications. The entire unit is portable, so most repairs are done on-site. Four mobile units are strategically located throughout Ontario - Ottawa, Hamilton, London and Concord. Should you decide to rebuild, Toromont offers a wide range of customized programs. After a complete inspection, you may choose from several combinations of repairs, up to and including a CAT Certified Rebuild. 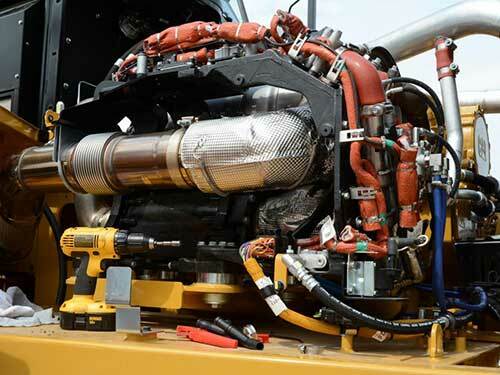 The Certified Rebuild is so thorough that Caterpillar even issues a new serial number and new machine warranty, but the procedure can be completed at a fraction of the cost of a new machine. 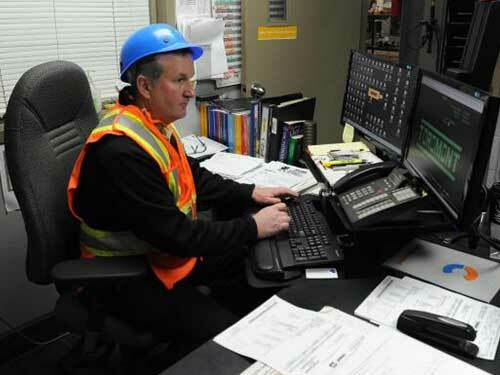 Toromont offers state-of-the-art wireless remote monitoring and control of your generator set. 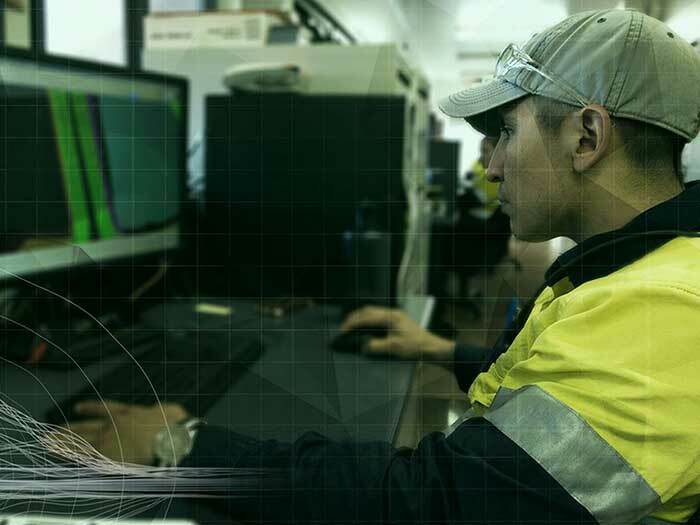 Our system monitors critical operating functions of the equipment and reports alarms or failures to a centralized service centre. It's like having a service technician on site 24 hours a day!